Since Bodum officially started in Denmark in 1944, this 100% family owned company has turned its attention to the practicalities of modern day living and all that entails - from major food preparation - to the essentials for making a fine cup of tea. Summer calls for a refreshing glass of iced tea at any time of the day and now this is easier than ever to prepare with Bodum’s Ceylon Ice Tea Maker. It’s the ideal pitcher to brew a generous 1.5 litres of your favourite tea. 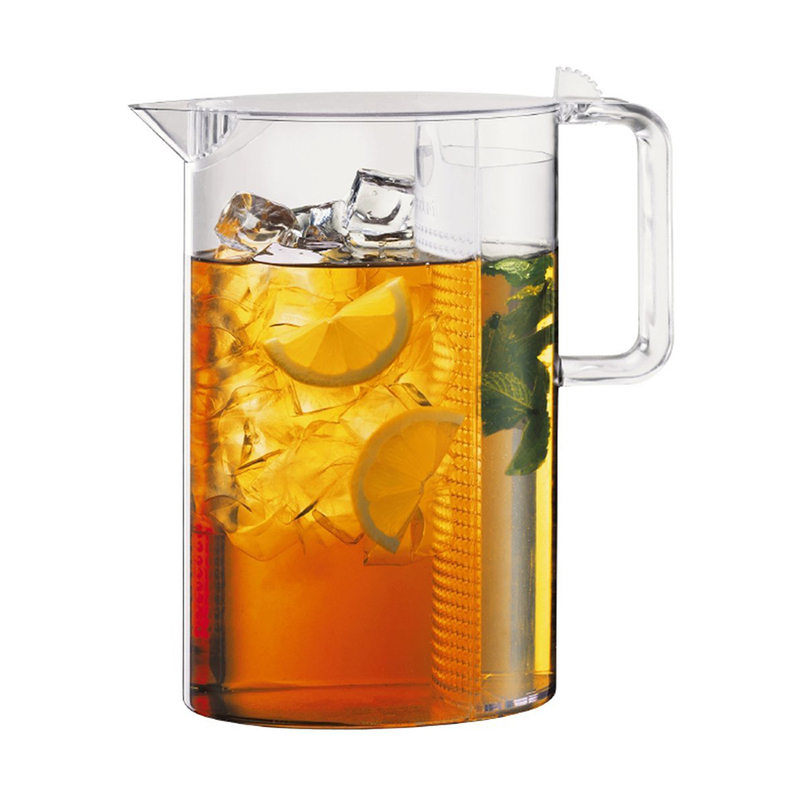 The clear jug features a removable strainer with an ice catcher at the spout, so it's ready in minutes. There’s no need to restrict yourself just to tea though as you can always use the jug to make cocktails or even decadent Long Island Tea. The filter lid locks in flavour and keeps out refrigerator odours, so you can have your chosen beverage waiting to be pressed into service once your guests arrive. Works with hot and cold water. Versatile, you can also make sangria and other fruit based drinks. Filter locks in flavours and keeps out refrigerator odours.